In a rare move for an Australian Prime Minister, Scott Morrison has jetted off to Vanuatu and Fiji as he looks to reaffirm the country’s commitment to the Pacific region. The government has been actively "stepping up" its engagement of the Pacific region over the last few years, as "new players" such as China have had their interest in the region grow. The visit will be an Australian PM's first to Vanuatu since 1990, and the first to Fiji since 2006. 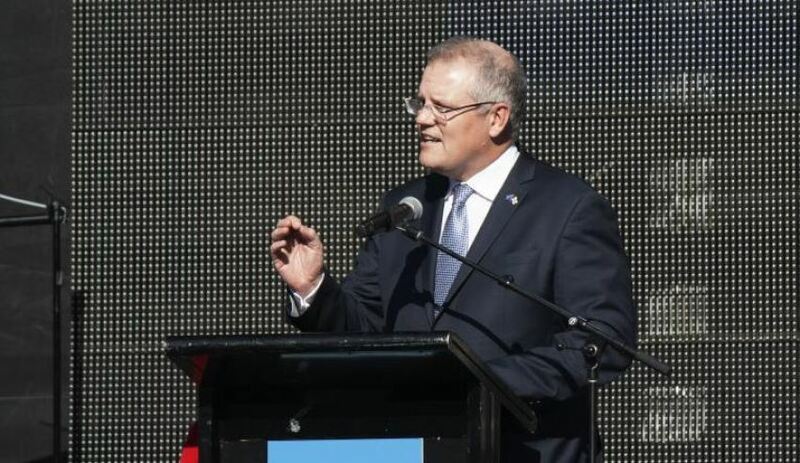 "As my first international engagements of the year, these visits reflect the depth of Australia’s commitment to our Pacific neighbours," Prime Minister Morrison said. "I am committed to stepping up Australia’s engagement in the Pacific to support a stable and prosperous region. I look forward to working closely together with my friends and partners in Vanuatu and Fiji to build strong bilateral relationships for the future." The government last year committed to a $2 billion Australian Infrastructure Financing Facility for the Pacific, which was created with the view of supporting partners within the Pacific, however Vanuatu is concerned about their lack of inclusion in the PNG-Soloman Islands underwater cable initiative. Tensions with Fiji are also a concern, with the country relying on a "look north" policy since Australia opposed the 2006 military coup on the island, with Fiji also heavily relying upon China financially. This is compounded with the drama surrounding terrorist Neil Prakash, who was stripped of his Australian citizenship with the view that he possessed a Fijian passport, without consulting the Fijian government, which denies he is its concern. Prime Minister Morrison will likely be pressed on these issues upon reaching the Pacific nation, but didn't directly address these subjects in his press release. "In Fiji, Prime Minister Josaia Voreqe Bainimarama and I will elevate the bilateral relationship between Australia and Fiji to a new level. We will deepen our economic and security co-operation, strengthen our people-to-people links and work together to respond to shared regional challenges," PM Morrison said. Vanuatu also relies heavily on China financially, with nearly 40 per cent of the government's debt owing to Beijing. In response Australia has earmarked extensive financing to support Vanuatu's infrastructure, military, security, training and sports programs. A joint statement from Prime Minister Morrison and Vanuatu's Prime Minister, Charlot Salwai Tabimasmas, highlighted reinforced Australia's commitment to helping Vanuatu achieve its national development goals, including in education and skills development in urban and rural areas to create jobs and economic growth; build climate resilient infrastructure; and support responsive and capable institutions to deliver services. There are also rumours of China approaching Vanuatu about the possibility of establishing a naval base in the country, which provides further military anxieties to Australia. However, the PM made a point of highlighting Australia as "Vanuatu’s economic, development and security partner of choice", and during the visit will open a new police college that was refurbished with Australian funding. The government also announced last year that it would help train more than 300 new police recruits and committed to upgrading facilities used by Vanuatu's military.